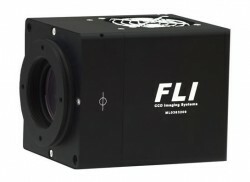 The FLI Microline CCD cameras enhance improvements in noise distraction, frames, downloading times, and cooling of the CCD chip sensor during astrophotography. Microline CCD Cameras transmit data and 12 megapixels a second, a fantastic improvement in the CCD industry. With the KAI-11002 sensor, the observer now has the ability to download full frame images to their personal computer on an average of one second. These CCD Cameras are built with excellent quality materials that can withstand very harsh conditions. Microline Cameras by FLI are equipped with stainless-steel shutters that can encounter damage that is sealed from dust. In addition, the CCD Cooling features in the MicroLine series are significant. The CCD sensor can work at -30° C to typical room temperatures without water cooling. The frame buffer is also an improvement FLI made to the MicroLine series. Instead of directly transmitting data from the sensor the USB ports on the computer, the MicroLine series cameras use an internal frame buffer to eliminate the affects of PC issues that can reduce quality of the picture. This allows the observer to take the image at whatever speeds they please without worrying about artifacts to the image. The MicroLine CCD series by FLI is designed to work with a diverse variety of mounting types. 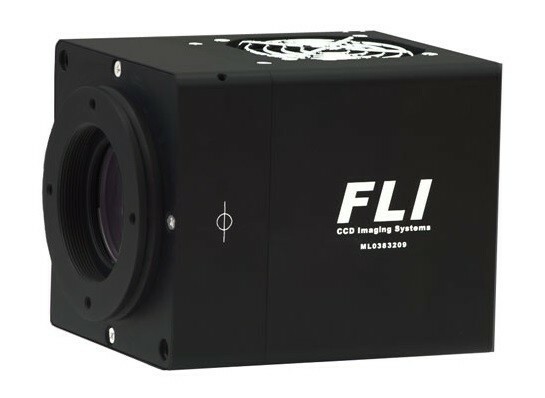 These CCD cameras are compatible with FLI accessories and the MicroLine camera adapters can work with microscopes, telescopes, and machine visioned connectivity. Among these mounting options are M5 threaded holes, 0.25-20 threaded hole, two 0.25-20 threaded holes, one 2.7" UNS24-2B thread, and FLI v-groove nosepiece.